Oregon State University graduate Rebekah Smith majored in Public Health and minored in Psychology. 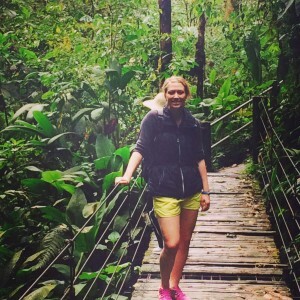 As spring term was coming to a close in Corvallis, Rebekah was nearing the end of her internship in Quito, Ecuador with Child Family Health International (CFHI). 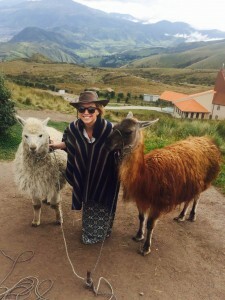 As an IE3 Global Internships scholarship recipient, Rebekah participated in an internship involving medical rotations, and was able to reflect on her experience while still abroad. I am now ending my seventh week in Quito, Ecuador. I have three more weeks in this amazing country and am in no way prepared to leave. To provide some insight into how huge of a development this trip has been for me, let me explain just how new international travel was to me just seven weeks ago. Prior to this trip, I had never left the United States, nor even had a passport of my own before applying to intern with CFHI and IE3. Understandably, these factors led me to have a ton of anxiety, which combined with the fact that I did not speak any Spanish. Despite the many “firsts” I’ve tackled recently, I have grown not only comfortable overseas, but have developed a huge passion for traveling and experiencing other cultures. My internship involves attending clinical rotations and taking Spanish classes with incredible instructors in Quito on weekdays. I’ve found that having some responsibilities in the city makes me feel as though I have a purpose here and am bettering myself professionally. My biggest words of wisdom when spending time in another country’s healthcare system would be to remember why you are there. This can be very difficult, especially with regards to healthcare because systems can vary so greatly between countries. Remembering that you are solely there to learn will help when experiencing things completely different from the U.S. It will only cause stress to think that you are there to fix issues or judge another country’s healthcare system. Our purpose as interns is to act like sponges, learn everything we can, and return to the U.S. with a better perspective and deeper compassion for health care. This concept will help you in all areas of interning with this program. When I was volunteering in the schools I also had to remember this because they teach different subjects and use different techniques than we do in the states. On the weekends, I am TRAVELING! Traveling has been such a huge aspect of my experience here and has taught me about the culture and count ry just as much as the program itself has. Traveling to the different Ecuadorian cities is such an incredible experience because within a few hours you can be in the Andes Mountains, on the beautiful coast, or deep in the jungle. Traveling forces you to practice Spanish and allows you to meet an outstanding amount of people, both foreign and local. I have traveled to a cloud forest in Mindo, the sunny beach in Montanita and Canoa, and am soon traveling to a gorgeous volcano in Cotopaxi. 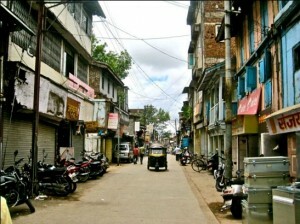 I also have plans to yonder on to an adventure-filled town called Banos, as well as the jungle in Tena. Traveling around is affordable and easy, as well as gives you opportunity to develop a great sense of independence and cultural competency. Traveling is also the way to make everlasting memories with other students in your program! You are stuck on buses together, staying in amazing hostels and going through both stressful and exciting times together. Being abroad in Ecuador has taught me many things so far. One of the most impactful things I have learned is patience. America is very “Type A” and extremely punctual, these things are not a priority in Ecuador. I have waited over an hour for one of my preceptors to arrive at a meeting, I have had doctors show up twenty minutes late to appointments and many other experiences. You are also very commonly juggling your wants and needs with those of the other students who you are working with, and this requires a large amount off adaptability and patience. 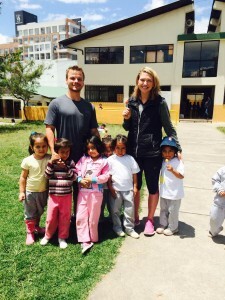 These experiences have taught me patience, and how to adjust to other cultures. For example, I don’t go anywhere without a book here! It is your job to adjust to them, the entire culture does not need to adjust to you, so learn to adapt! It’s been nothing but beneficial because I have finished two books just traveling and waiting for meetings, It’s GREAT! Some final advice I have is, to bring more money than you expect. You will never be able to be totally prepared for traveling abroad or be able to know what you will be doing. Having money hold you back from being able to engage in a great opportunity would be upsetting so just budget extra! I also advise to release any expectations you have or restrictions you have in the U.S. For example, two of the guys in the program were vegetarians for ethical reasons in America and came to find that it restricted them so much here in Ecuador, and they wanted to be able to experience the culture so they put their expectations aside and decided to return to being vegetarian when they returned home. I really respected their choices because they fully immersed themselves in the culture and benefited from it greatly. As far as avoiding cultural mistakes, I was so lucky to have a friend who had been here for a long time before I arrived, and I was constantly asking her questions and observing how she interacted with locals. This was really helpful for me because I was able to learn polite mannerisms and safe tactics while in Ecuador. This experience has been life-changing. As cliche as that may be, it truly has been an experience that has helped me grow and develop my independence and cultural competency. I only want to continue the experience, I am NOT ready to go home in three weeks! This blog was originally published on the IE3 Field Notes Blog. For a link to the original entry, click here. Posted in College of Liberal Arts, College of Public Health and Human Sciences, Ecuador, IE3 Global Internships, Returnee, Scholarships, Spanish. Jaynie Whinnery is currently pursuing a Master of Public Policy at Oregon State University. During 2013, she spent nine months in Siem Reap, Cambodia as a Boren Fellow researching biosand water filter sustainability. She also holds degrees from OSU in Environmental Engineering (M.S.) and Mechanical Engineering (B.S.). The Boren Fellowship provided me with funding to pursue a student-designed program combining research, internship, and intensive language study of a less commonly taught language while abroad. Boren Fellows mu st also tie their study abroad plans to U.S. national security and agree to work for the U.S. Government for at least one year following graduation. I have always regretted that I did not take the chance to study abroad during my undergraduate years, and with my research interests focused on global water and sanitation issues, gaining more extensive international experience was the next obvious step. 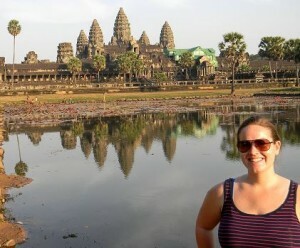 During my time as a Boren Fellow, I chose to live and work in Siem Reap, Cambodia, from January through September of 2013. Siem Reap is a really fun place to live in because, due to the presence of the Angkor Wat UNESCO World Heritage Site, it has a stimulating mix of local culture and world-class, tourism-driven amenities. 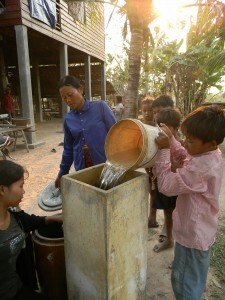 During my Boren Fellowship I volunteered with two organizations that work to increase access to safe water – Water for Cambodia and The Trailblazer Foundation. Rural areas in Cambodia have particularly high rates of poverty; families are often lacking sufficient nutrition, running water, adequate sanitation, electricity, educational and employment opportunities, and health care facilities. 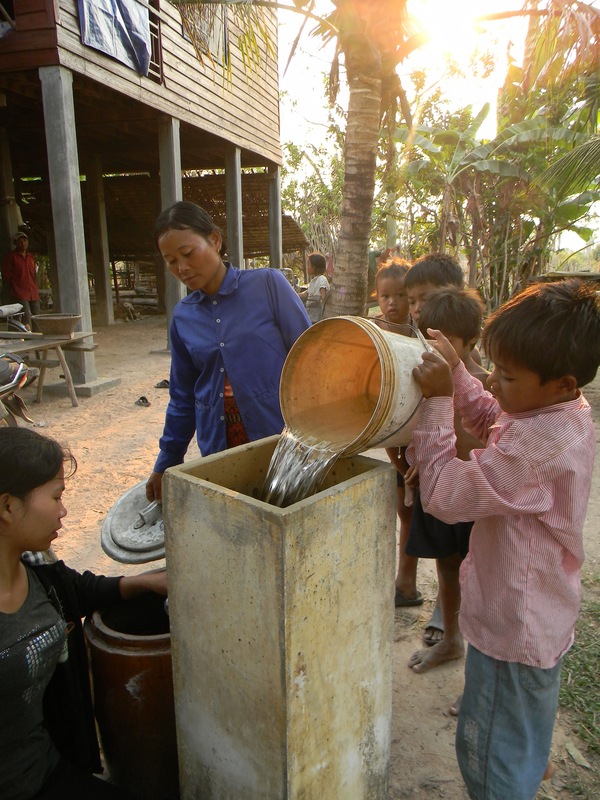 According to the United Nations, approximately 38 percent of Cambodia’s rural population does not have access to an improved water source. 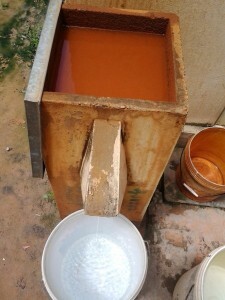 Both of the organizations I volunteered with are implementing household-scale biosand water filters as one of their primary programs. These water filters are a simple, easy-to-use technology that is proven to be effective at removing disease-causing organisms and other common contaminants in water. My research focuses on the sustainability of these water filter programs by evaluating what factors contribute to continued long-term use. One of the most amazing aspects of the Boren Fellowship is that it requires, and provides funding for, intensive language study. 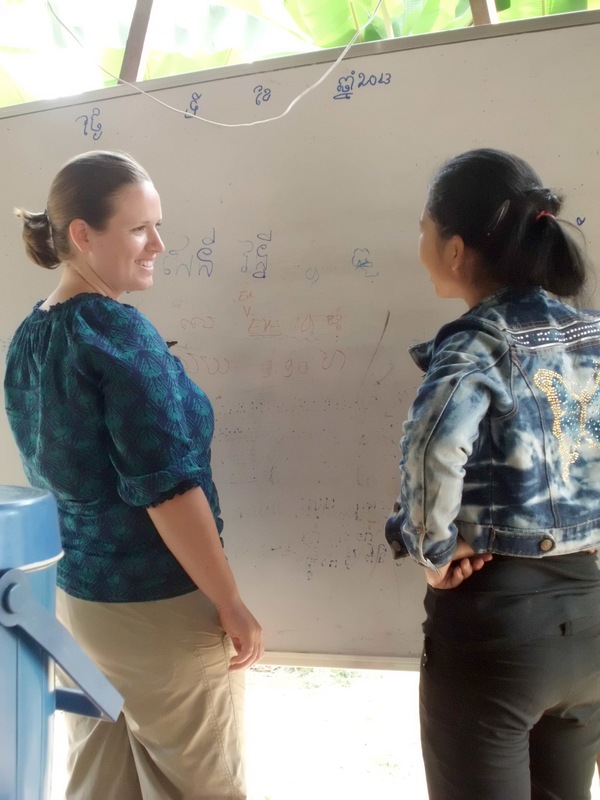 I began studying the Cambodian language, Khmer, in 2012 through the Cambodian-American Community of Oregon, but nothing can compare to the daily immersion I experienced in Cambodia. Khmer is a pretty challenging language to learn as a native English speaker because there are so many differences in pronunciation. The alphabet has 33 consonants, 23 regular vowels, 11 independent vowels, and several punctuation-based modifiers. During my Boren Fellowship I had formal language lessons four to five times per week, through classes and with private tutors. After a few months, once I was able to hold a conversation, my understanding of the local language helped me form friendships and working relationships that would not have been possible otherwise. Not to mention all of the laughter, as I became a source of never-ending amusement for rural Cambodians who had never heard a foreigner speak their language before. I think they have the best sense of humor in the world. Trying my best to have everyday conversations in Khmer with Cambodians was one of my favorite parts of the entire experience. Now that my Boren Fellowship is over, I am back on campus and on track to complete my Master of Public Policy degree by the end of the academic year. I am currently writing my final public policy essay on the sustainability of biosa nd water filter programs based on my data and observations from my time in Cambodia. My experience as a Boren Fellow further solidified my desire to pursue a career in public service. For that reason, the service requirement for the fellowship is a bonus because it provides additional resources for the job search. I am also hoping to pursue a Ph.D. in public policy or international development, in which case I can defer my service requirement until I finish that degree. Overall the Boren Fellowship was an ideal opportunity to have a unique study abroad experience as a graduate student because I was able to design a personalized program based on my own learning objectives and research interests. I highly recommend applying if your interests align well with the Boren program’s preferences. The initiative offers scholarships for undergraduate students and fellowships for graduate students. Posted in Boren Fellowship, Environmental Science, research, Returnee, Scholarships, sustainability. Marissa Uriarte interned for Center for Social Medicine in Loni, India, through IE3 Global Internships in Summer ’12. She is pursuing a Bachelor of Science degree in Public Health with an option in Health Promotion and Health Behavior, and a minor in German. She is now working as an International Ambassador for the office of International Degree and Education Abroad (IDEA). During my internship, I had the chance to work in a wide range of projects that focused on medical care, public health and social development in the rural and tribal areas of Maharashtra. Before I go more into depth about my work at Center For Social Medicine I wanted to note that I cannot sum up India in a single story. India is filled with a life full of color from the saris women wear to the the paints on the animals during a holiday. It is filled with noises from the people bargaining at the market to the honking on the streets, and it is filled with smells from the food cooking on the sidewalks. However, I can tell you that interning abroad challenged every aspect of who I am; it revealed not only my strengths and weaknesses, but questioned my knowledge and beliefs. I met heart-warming people that I will keep dear to my heart and learned that life is precious and we all need a helping hand. There are an infinite amount of memories I will hold, but I would place working with the staff at the Mobile Clinic in one of my favorite. Here, I visited a daycare center for children under the age of five years old. I assisted the pediatrician in charting their growth development to prevent malnutrition. Also, I performed regular health check-ups for pregnant women, which consists of finding the position of the fetus, measuring the fetus length, listening to the fetal heart beat and checking the women’s health status. The Mobile Clinic was very impressive, because the doctors and nurses went to the people. It addressed the transportation barrier and really emphasized that the patient’s health is their number one priority. I had the chance to do and see things that people only see on TV. And I don’t believe this is an exaggeration. 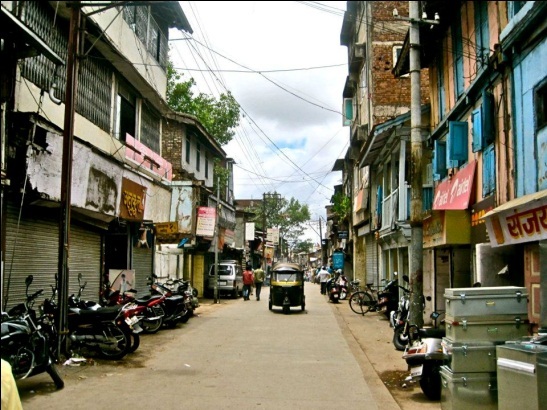 The culture and atmosphere is new and enriching; it’s completely different from anything I have ever experienced. 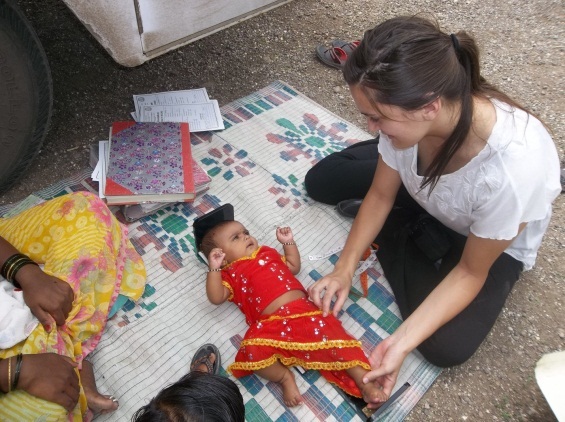 The Center for Social Medicine truly offers unmatched opportunities for international interns. I was able to use the knowledge and skills I acquired at Oregon State University, as well as build new skills that will contribute to my professional aspirations as an international public health nurse. I want to stress that I would not have acquired this chance to intern abroad without the support from the staff at International Programs Department and the scholarships I received, such as the Benjamin Gilman Scholarship and the Nicodemus Scholarship. I believe that anything is possible if you are proactive in your career aspirations. Posted in College of Science, IE3 Global Internships, India, Scholarships. SIT (School for International Training) study abroad has officially been partnered with OSU since 2006, and OSU students have taken advantage of its programs to study in non-traditional study abroad destinations, such as Bolivia, Madagascar, Mongolia, Nepal, and the Netherlands thus far. All of the SIT programs are approved at OSU and available to all eligible students. SIT Study Abroad offers unique, field-based opportunities for OSU undergraduates to engage directly with the most critical issues facing our world today. If you are looking for a way to take your academic training beyond the classroom and you want to see first-hand how different cultures and societies are coping with the realities of the 21st century, then a SIT Study Abroad program is right for you. With SIT, you will become deeply engaged in a topic, undertake you own research, and perhaps discover a lifelong passion. You will deepen your understanding of your chosen topic by learning from experts, academics, practitioners, families, local organizations, and beyond. 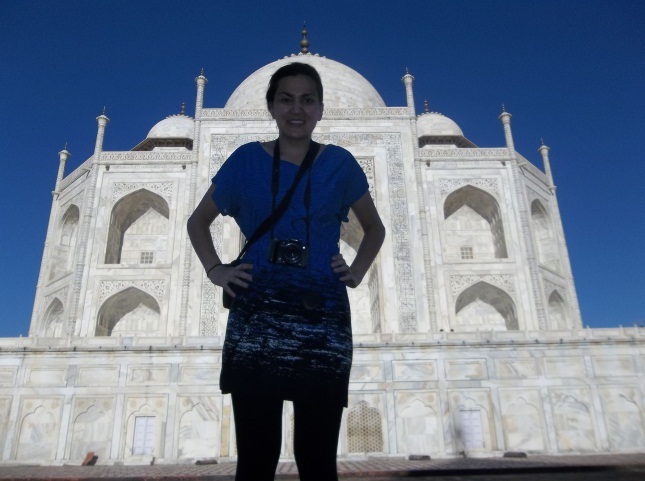 SIT Study Abroad has offered programs for undergraduate students for over 50 years. To date, more than 25,000 students have participated in SIT programs. SIT currently offers over 70 summer or semester long programs in Asia, Africa, Latin America, Europe, the Pacific, and the Middle East that address these Critical Global Issues:. All programs are run by Academic Directors who live full-time in the program location and are experts in the field. Each program consists of some combination of the following coursework: Intensive Language Study, a Thematic Seminar on the specific topic of the program, a Field Study Seminar which teaches research methods and ethics, and an Independent Study Project. In a typical semester-long program, Intensive Language Study, Thematic Seminar and Field Study Seminar coursework occurs simultaneously in the first two-thirds of the program, while the Independent Study Project takes place in the last four weeks. Our summer programs use selected elements drawn from this same model. The mission of SIT Study Abroad is to prepare students to be interculturally effective leaders, professionals, and citizens. In so doing, SIT fosters a worldwide network of individuals and organizations committed to responsible engagement in a changing world. Come join us! Connect with students, colleagues, alumni, and friends through our many social networking channels. Learn about the latest program updates, read interviews with current students and alum, watch videos and view photos of our programs. SIT also offers Pell Grant Match scholarships to students who receive Pell grant and participate in targeted programs. Posted in Madagascar, Scholarships, SIT, study abroad. I’m Laura McMahon, a senior in Fisheries and Wildlife Science at Oregon State University. I am interning with Sea Turtles 911, a non profit organization working to save sea turtles in the South China Sea around Hainan Island. I feel as if I have adapted to life in China quickly, even without knowing the language. I have gotten the chance to experience a way of life many never have the opportunity to experience. The floating village is filled with people practicing their traditional ways of life, while at the same time, there are some modern technologies that have been mixed in. It’s strange how two worlds can collide and yet seem to work perfectly. The other day a couple young boys used their traditional boat to row to our floating hospital for help changing a new cell phone’s language setting from English to Chinese. 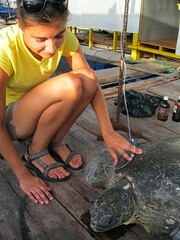 Lately, we have been busy rehabbing 3 turtles we rescued from a fisherman who no longer had use for them. He couldn’t sell them because of their poor condition. We were called to visit this fisherman at his home in the floating village, where he let us take 6 of his turtles. We found these sick turtles either in dry buckets or floating in their enclosures, it was hard to see animals in that condition, but it also felt good to lend a hand. Our sea turtle hospital transformed into something that I imagine to be similar to a hectic army hospital. We administered fluids and cleaned them, all while hoping they would make it through the night. Sadly, by the end of the week, we were only able to save 3 of the six. During the first week, the turtles were not strong enough to lift their heads above water, which resulted in each turtle resting on a life jacket with a wet towel on their backs to keep them wet. It’s a sad sight to see sea turtles that are not strong enough to even pick their heads out of the water, but during their second week, they were able to float and lift their heads. Their recovery has been slow, but they have been making progress. Over the last couple weeks, they have progressed, so far! They can eat on their own and are capable of swimming! I can’t wait to one day be able to release them back into the wild where they belong. For so long, I have dreamed of going on an adventure of a lifetime, and living in China has been just that. I can’t believe how lucky I’ve been; in five weeks, I have had the opportunity to do things I never thought I would get the chance to do. I have been able to rescue sea turtles, ride taxi boats and rickshaws, swim with whale sharks, meet locals, and teach others about sea turtle conservation. I am half way through my time here, and it has been great experience so far. I can’t wait to find out what the other half of my internship will include! Visit the IE3 Blog to learn more about what other IE3 Global Internship students abroad are doing! Posted in IE3 Global Internships, Scholarships. I know it’s Winter break, but study abroad scholarship deadlines for summer, fall, and academic year-long programs are going to come up fast! The Boren campus deadline is in January, PKP is in February, and there are more in March and April. Now is the perfect time to get started! By applying for scholarships, you’re essentially asking a stranger to help you pay for your experience abroad. You have to make your request stand out! Here are a few tips to make your application the most convincing one possible. • Review eligibility criteria & ensure you meet ALL necessary requirements before applying! If you meet some, but not all, or have any questions, contact the giving organization. • Learn about the organization providing the scholarship. o Why did they create the scholarship? What do they hope that students will accomplish with the money? o Be sure to address how you fit those interests/needs in your application, particularly the essay. • Answer all the questions they ask in the essay. Your essay should address every point they’re looking for in a concise, and engaging manner. Remember that the essay is usually your only chance to distinguish yourself from the rest of the applicant pool! • Proofread. Then proofread again. Even one error could take you out of the running. Watch for tricky misspellings like “aboard” vs. “abroad”. Take advantage of the Writing Center for something this important! • Choose references wisely. If your scholarship requires references, put some thought into who can best represent you. o Get to know professors before references are required, or at least hold on to some of your papers/assignments to help jog a professor’s memory of you. o Provide a summary of the scholarship program so that the professor can speak to your abilities as they relate to that organization. Those are just a few things you can do to make sure you’re the best candidate possible. For more information on scholarships, and upcoming deadlines, see the scholarship listings website. Posted in IE3 Global Internships, International Degree, Scholarships, study abroad, Uncategorized.